Singer-rapper-musician Anderson .Paak will join hip-hop veterans A TRIBE CALLED QUEST and FOO FIGHTERS frontman Dave Grohl on stage at this year's Grammy Awards, which will take place February 12 at the Staples Center in Los Angeles. 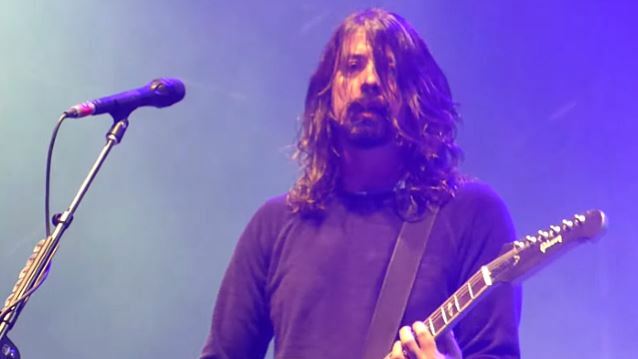 Grohl has collected 15 Grammys across his career, which includes a stint with Rock And Roll Hall Of Fame inductees NIRVANA. Also scheduled to perform at this year's show are Adele, John Legend, Bruno Mars, METALLICA, Carrie Underwood and Keith Urban. James Corden of "The Late Late Show" will host the 59th annual Grammy Awards, which will be aired live on CBS.